Xerox copiers and printers are renowned for their reliability and low running costs. 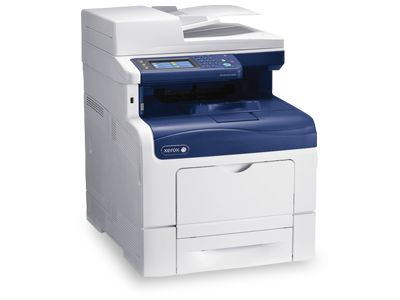 Our extensive range of Xerox copiers and printers includes new, ex-demo, and refurbished models. We'll find the perfect model Xerox model for your workplace. Xerox printers are known for their affordable pricing, and we make things even easier with our customised payment options. You'll be hard-pressed to find a Xerox printer issue that our technicians can't fix. The cost of maintenance checks, toner refills, and repairs can all be covered by your own customised service agreement. All of our Xerox photocopiers come with a 12-month warranty on parts, labour and toner. If you want even more protection, cover your machine for life with our extended warranty. Our entire range of new Xerox printers is available for purchasing outright. We also offer a range of finance options to suit your budget, and a payment plan can be established or models can be rented for more flexible alternatives. All Xerox printers and copiers are refurbished and maintained by our very own technicians. That's why we guarantee your Xerox will be in great working order when it's delivered to your office. For over 25 years we've supplied industry-leading printer brands like Xerox. We assess the unique printing needs of your office before offering a model that suits your workplace and workflow. Same-day service calls are available for Xerox photocopier repairs, maintenance, and refills. Maintenance of your Xerox model can be covered by a comprehensive Copysonic service agreement. Our repair technicians have a minimum 15 years of experience in the industry. There's no issue we haven't seen before. Need a reliable and long-term printing solution for your office? Ask one of our Xerox printer specialists. Contact us on [phone] and chat to one of our Xerox specialists about your office's needs and expectations. An in-person meeting can also be arranged. Our printer specialists will provide you with quotes for certain models. All photocopiers suggested are based on your budget and workflow expectations. After picking a model you're happy with, payment options can be discussed. A payment plan can be arranged for a purchase or rental. We'll confirm a date with you to deliver and install your new Xerox photocopier. Your new model will be installed in your office and integrated with its systems by our technicians. Your new Xerox photocopier is ready! Your new Xerox photocopier is ready for office use. Our technician will guide you through the basic functions of your new model before the handover process is complete. Can I purchase a new or used Xerox photocopier from Copysonic? 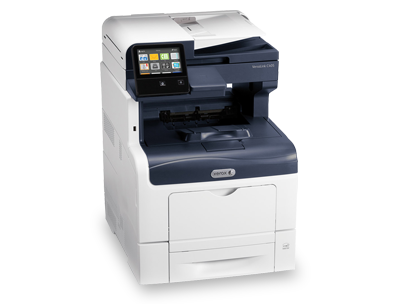 New, used and ex-demo Xerox models can be purchased through Copysonic. Tell us your workflow and budget expectations and we can provide you with options from our range of new, used, and ex-demo models. Can you repair and service Xerox printers and copiers? Our photocopier technicians have the knowledge and experience to repair Xerox printers and copiers. With access to Xerox replacement parts, our technicians can restore your model back to working order. What type of warranty can you provide for a Xerox photocopier? We provide a 90-day warranty or 10,000 print warranty with any purchase of a Xerox model. You can choose to claim whichever warranty you need based on your office's usage. Can you set up my Xerox photocopier for networking capabilities? As part of our installation service, we will ensure your new Xerox printer or copier is fully integrated with your office. We can ensure your Xerox is connected to the office network before it's officially handed over to you. Want to find out more about our Xerox range? Fill out your details below, and we'll happily answer any questions you have about Xerox photocopiers.